Birdie Brown: June Freebies & Challenge! I'm often asked from my customers to make more dog images. So, how about another funny doggie image? I'd love to see what you create with these digital stamps! Here are the details of the June Freebie Challenge. Please note that there is a change about the deadline. 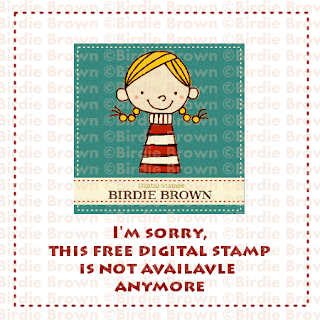 Make a card or project using this month's free digital stamp(s), then upload it to your blog or an online gallery (like SCS). The collection will be closed at 11:59 pm Eastern Time, June 29th. 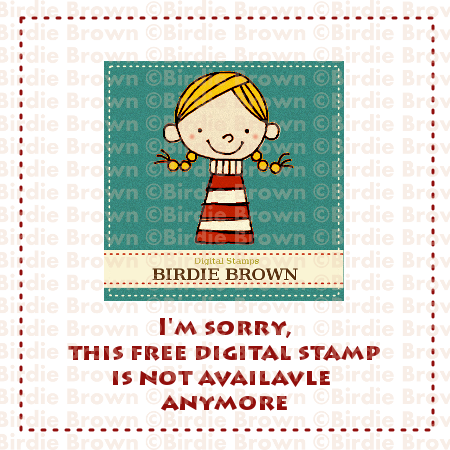 One lucky winner will be chosen randomly and will receive three digital stamps from Birdie Brown. The winner will be announced on June 30th. You can enter as many times as you want. The more you enter, the more chances to win! So cute, i love it!! Thanks a lot. Love this rockin' pup! Thank you!! This is a super cute pup! Thanks a million! I SOOOOO needed this this morning Torico. Just dropped my hubby off at the airport and was feeling pretty blue. This little guy makes my heart smile. Thanks! What a fun image! Thanks! OMG how adorable.I know exactly who to make a card for with this image! So adorable as usual, thank you for sharing your images! "You Rock!" So adorable! Thank you, Torico! This is just sooo cute! You are so generous to give a freebie each month! Thank you for sharing your art with us! OMG, I love it! I need to make more birthday cards for my teenage daughters to use for their friends. This image is PERFECT! He is so cute! I can't wait to make some cards with this one! The card is Super!!! Thanks for sharing. He's soooooo cute! Thank you!! That card is so cute!! Thanks so much. Thank u. My grandson will love this dog. Thank you so much! It's a darling image and you are so generous to share it. Torico, you are right- he is sassy- just like my kids so I love the image. Thanks. He is so adorable! Thanks for sharing this little guy with us. I really love the design of the sentiment too! You Rock!! Last month I printed out the freebie, but didin´t have the time to use it, hope to use this cute dog! I can't wait to use this in the challenge. He's too cute. Thanks so much! So fun! Thanks so much for another adorable freebie! Looking forward to playing in the challenge! I'm loving this little "rocking dog" - thanks so much for sharing! Sweet! Can't wait to color this one up. Thank you Torico! Awesome image! Thank you so much! Adorable image! Your card ROCKS...!! Thank you! Thanks so much for this rockin' image!!! Now, I just have to make some time so I can get it colored. Thanks! Just Looooove it!! Thankyou so much for this supercool freebie! This will be perfect my guitar playing nephew's bday. Thanks! This dog is awesome! Thank you so much! Thanks so much for these images! My son wanted to use these digis for his Father's Day card. I attached his card above! Thank you for sharing - he's gorgeous!! What a cute doggie. Thank you. I just found your blog and can't wait to play along. Thanks for the fab freebie. Hope I can still sneak this one in for the challenge. I love doggy images and this one is so cute. This image is going to be a great one for me to make up my daughter's dog training business! What a great digi for dogs that pass their obedience training. You definately rock by offering these fabulous images to us. Thanks!!! !